Editor’s Note: Tanya from Eat Laugh Purr is back to share some of the best apps to help you save money. One of the best things about smart phones is the thousands of apps we have at our fingertips, many at no cost. And no, I’m not talking about the latest video game, but all those great apps with the sole purpose of helping us save money with ease, which is key. I love saving money, but I don’t want to spend two hours looking for great deals or cutting coupons to save a few dollars. I want to save a few dollars (or more!) and spend mere seconds doing so. These apps meet that criteria whether you’re looking for the best deals on gas, airline perks, groceries and retail. Earn points, also known as “kicks”, that can be redeemed for gift cards when you use this app at participating retailers such as Best Buy, Macy’s, Crate and Barrel, Target and more. Earn points by entering a participating store, scanning products and making purchases. Money saving experts handpick sales and coupons every week — in more than 65,000 grocery and drugstores nationwide — to help you find the best deals with savings up to 70% on everyday items. You can use in conjunction with store sales and paper coupons to stretch your savings. This is a must-have and popular app. Perfect for helping you find store coupons while you wait in line. Even better, most stores will scan coupons right from your smartphone, making it super convenient. This is a great app for road warriors and travelers. It provides real-time traffic information, so you can find the best route and avoid delays. It can also help you find the cheapest gas station along your route. Another great app for finding the nearest gas station with the lowest price is GasBuddy. This app helps take the pressure of knowing the perfect time to book your next flight. Hopper analyzes billions of flight prices a day to provide advice on when to fly and buy and when to wait — saving travelers as much as 40 percent on their flight. WiFi is everywhere, but can be hard to find when you’re in a strange city. This app will find the nearest free signal and give you directions for the easiest way to get there. Many stores offer some sort of loyalty or membership card to get discounts and it can be difficult to keep track of all of them. This app stores the barcodes from all of your cards. Now all you need to do is show the scanned barcode when you check out to get your loyalty program discounts and rewards. Trying to eat healthy? This is the app for you! Each week a variety of organic, healthy, GMO Free foods are added. To get your rebate, upload your receipt to the app and your rebate amount is added to your Berry Cart account. Another simple but effective rebate app. Purchase any of the products from the list of current offers, upload your receipt to the app and receive money back into your Checkout51 account. A new list of offers is updated every Thursday morning. Ibotta is an easy way to earn money every time you go shopping. Plus, the more frequently you use it, the more personalized your offers become. Before shopping, choose your products and complete the tasks. Buy your chosen products at more than 50 retailers nationwide, then verify your purchases by uploading a photo and scanning the product’s barcode. Features hundreds of special offers and sales for Target merchandise. Allows you to scan your items at Target to check for special offers, which can then be stacked with other paper and online coupons. A great app to help make sure you’re getting the lowest price. If a local competitor offers a lower advertised price on an item you purchased at Walmart, now you can get back the difference on a Walmart Rewards eGift Card. 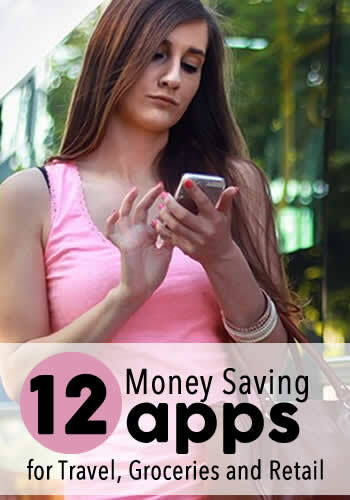 What are some of your favorite money saving apps? Tanya is a freelance writer, web designer and blogger. You can find her at Eat Laugh Purr where she and her ginger tabby, Max, enjoy simple pleasures every day and at TV Fanatic reviewing Madam Secretary and more. 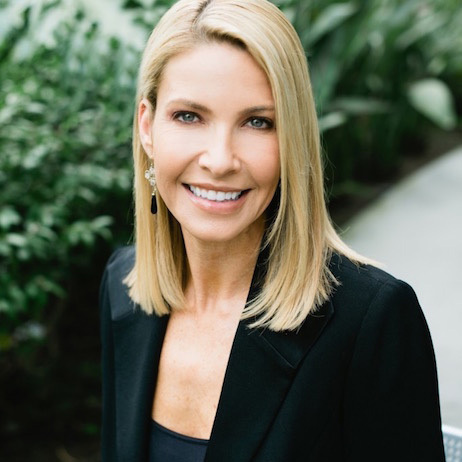 Connect with Tanya on twitter and Pinterest. And please, no judgement on the number of cat pins I have. This is an awesome list and I don't use a number of these. I do use Favado, though, and love it. With all of the apps available now, there really is no excuse not to find ways to save when you are spending money. Thanks, Shannon! I agree there is no excuse for not using these apps. They are free and save you money. What's not to love! Awesome list Tanya! Retail Me Not is probably my favorite out of these as I use it all the time whenever I'm buying something. I use the Amazon app on my phone as well to see if I can get something cheaper there. I also use CamelCamelCamel - it allows you to track Amazon pricing history and alerts you when items go down in price. CamelCamelCamel sounds like a great app; thanks for sharing it, John! I love Amazon and knowing when the price goes down on something you want is really helpful. Lol, I haven't used any apps either, I am more of a cut-out-the-coupon girl as well :) But the BerryCart one sounds interesting! I'm just started to use apps more often. It can make a difference and I appreciate how little time you have to spend to find discounts. I still clip the occasional coupon too! Great list, Tanya! I personally use Shopkick, Ibotta and Checkout51 all of the time! Another favorite of mine is SavingStar. I also use Wamart Savings Catcher from time to time, but I am not a huge Walmart shopper so it's on my phone but is rarely used. I'm going to look into some of the others that you have listed. Thanks for sharing! I'm a big fan of Target so of course I have the Cartwheel App. According to the App, I've saved like $80 or so. I try to stay disciplined though and not to let the discounts tempt me...which sometimes I'll have to admit, they do. GasBuddy is also a great app to find the cheapest gas price. The older version didn't always give the cash vs credit price but the updated one those which is great. I'll have to check out those other apps. I love GasBuddy too. It's amazing how gas prices differ, even places just a few blocks from each other. Very true that you still have to watch yourself, discount or not! These all require just snapping your receipts! I made close to $600 last year using these apps plus ibotta and checkout 51! Thanks for sharing! I'm definitely going to check these out! Most of these 12 apps are really good! But, my favorite is Ibotta. It's better than coupons. I can never remember to use my coupons at the register! And, the app is easy to use and I love the rebates for any brand. Yeah, Ibotta is great one. I always love the simple ones. And I sometimes forget about "virtual" coupons until after I leave the store, which really annoys me! Thanks for sharing these apps. I love anything that wil help me save money! I've heard of some of these but there are also some I didn't know about. Thanks for putting this post together. Passing it along!